Sign up today for Foodwise for Life and start your journey to a healtier 2015! 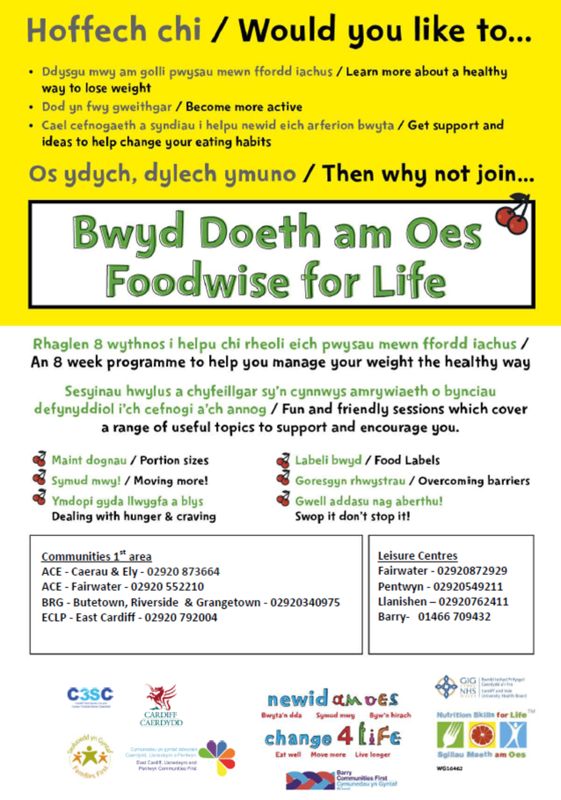 Foodwise for Life is an eight week structured programme to help you to reach a healthy weight. Each week you will learn about a different topic, including portion sizes, food labelling, daily exervise, recipe swaps and longer term plans for weight management. When you sign up, you’ll recieve a free handbook and some fab resources from the Change4Life campaign too. To find out more or sign up to your nearest group, call the telephone number on the flyer below.